Samsung has officially unveiled the most anticipated Galaxy A80 in Thailand. The smartphone gets a price tag of 649 Euros (INR 50,500 approximately). 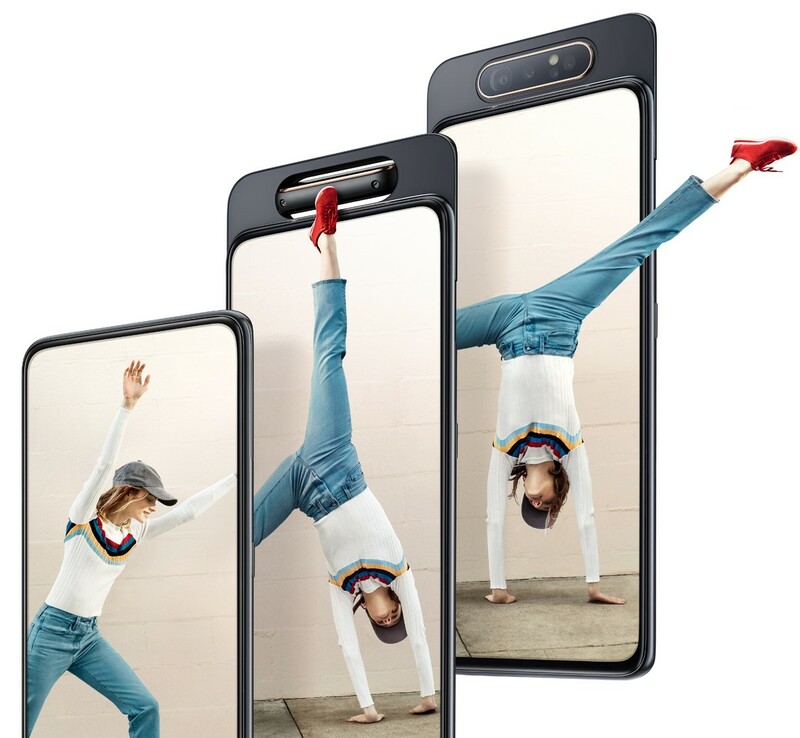 The smartphone is specifically made for the “Era of Live” and features a rotating camera module where the three rear cameras rotate to the front of the smartphone and can be used for the selfies. 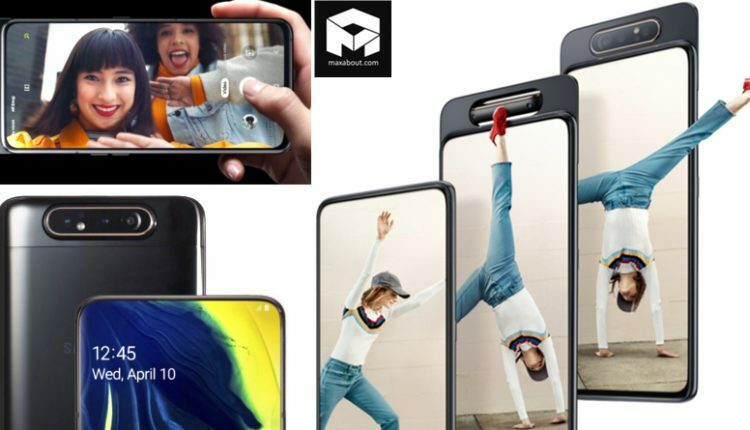 The Samsung Galaxy A80 can be availed in Angel Gold, Ghost White and Phantom Black colours while the smartphone will be available in the European markets from Mid-May. There hasn’t been any confirmation of its availability in India as of yet. 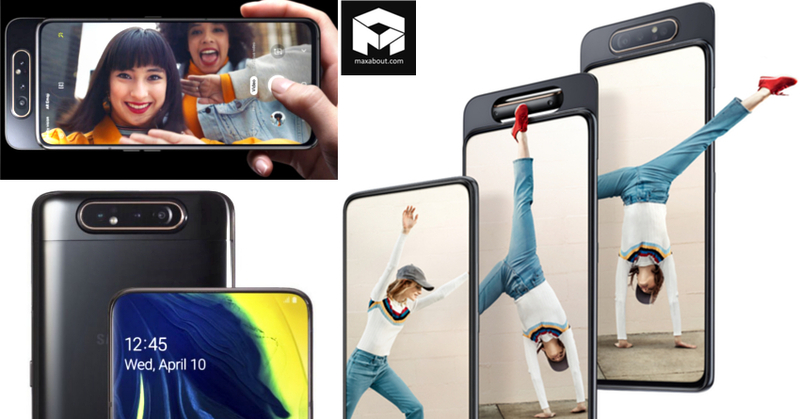 Powering the new top-end smartphone of the Galaxy A series is an Octa-Core Snapdragon 730G processor with Adreno 618 GPU mounted on top of it. 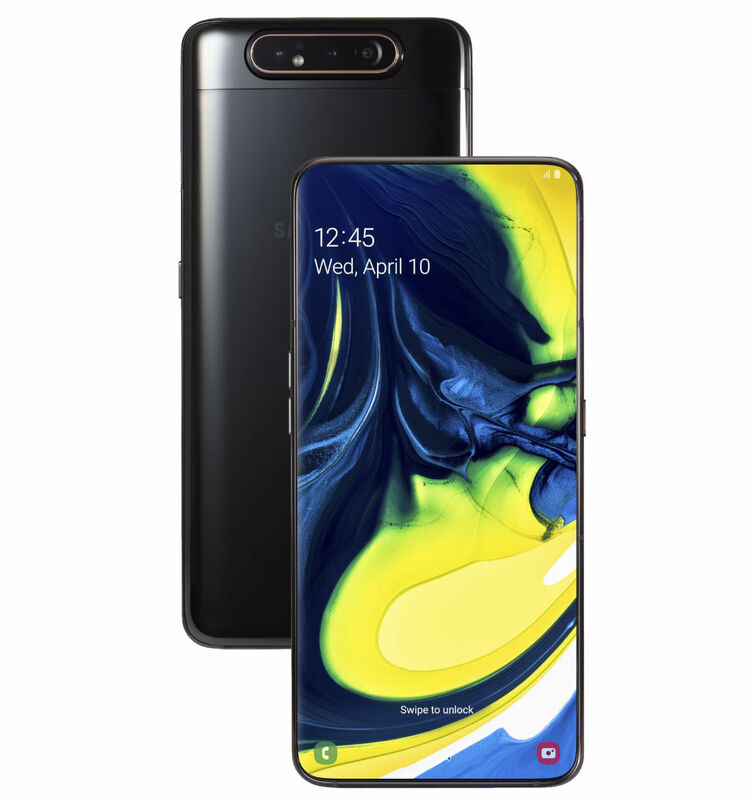 It runs on Android 9.0 (Pie) with Samsung One UI and features a 6.7-inch Full HD+ 20:9 New Infinity Super AMOLED display with a resolution of 2400 x 1080 pixels. The smartphone packs a 3700mAh battery with 25W SuperFast charging and gets a dual SIM architecture. 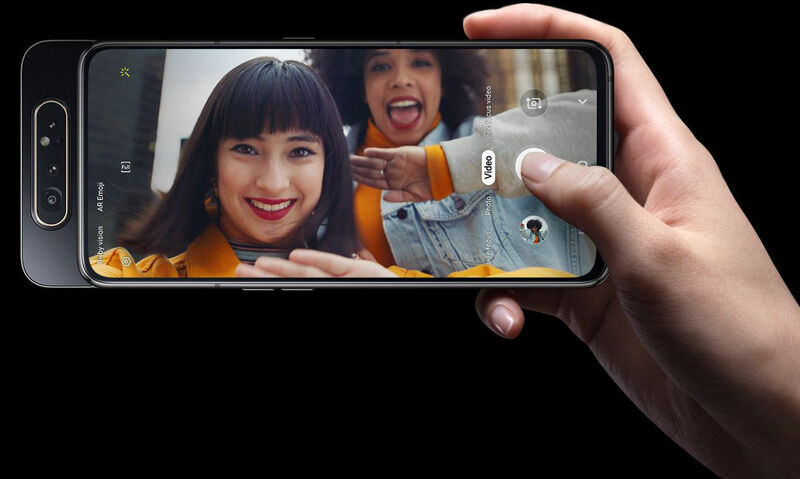 Coming to the innovative camera specifications, it features a triple rear camera setup which also pop-ups and rotates to the front. The smartphone gets a 48MP primary lens with f/2.0 aperture, a secondary 8MP ultra wide lens and a tertiary 3D depth camera. Here are the complete technical specifications of the all-new Galaxy A80.